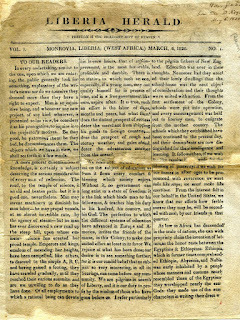 On Feb 16 1826 The Liberia Herald was founded by Charles Force and became the first newspaper ever published in Liberia. Charles Force was only able to publish three papers before his death. 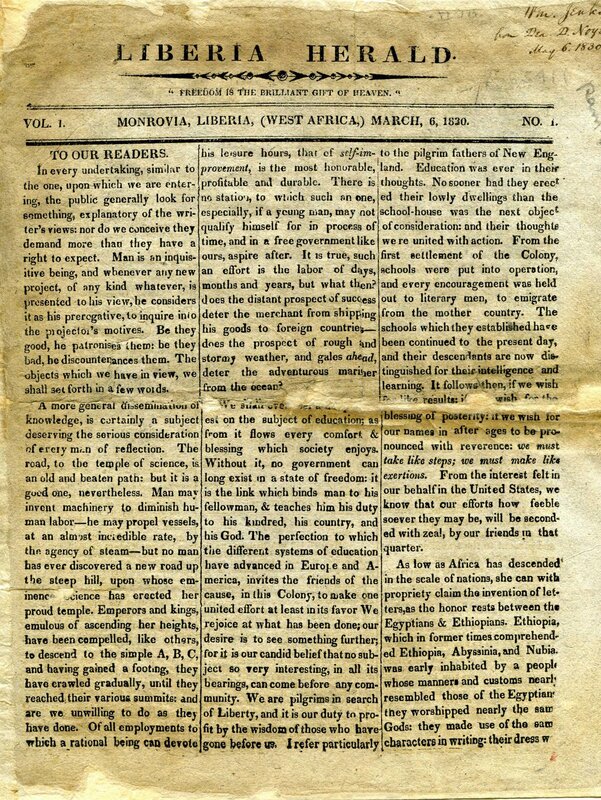 In March 1829 John B. Russwurm one of the original founders of the Freedom's Journal (the first African - American newspaper in New York) resigned and emigrated to Liberia with the support of the American Colonization Society. Once in Liberia he carried on the mantel of chief editor of The Liberia Herald from 1830 to 1834.